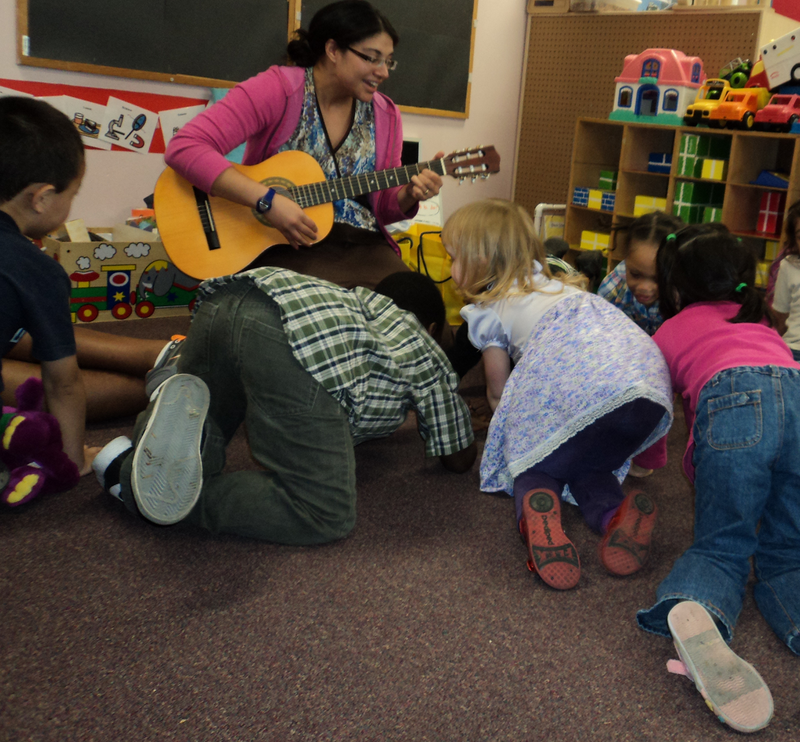 During this intervention, the music therapist cues the children with fun movements – moving like animals! How does a monkey move? How does an alligator move? They’ll show you how!